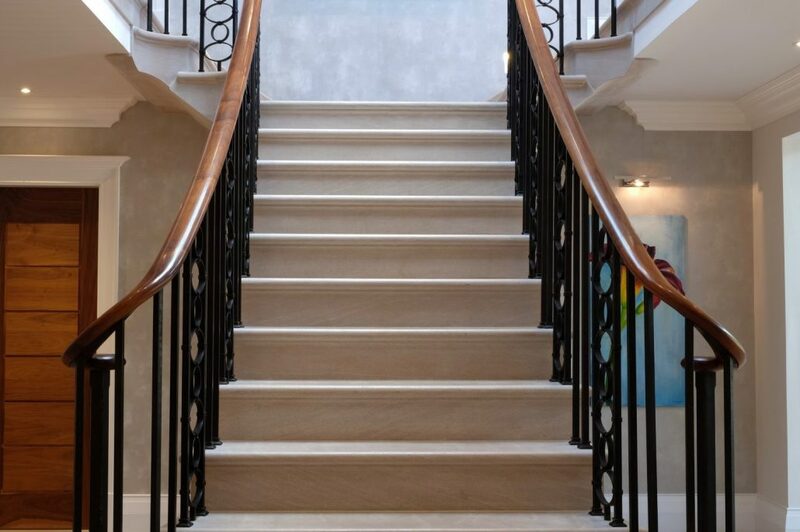 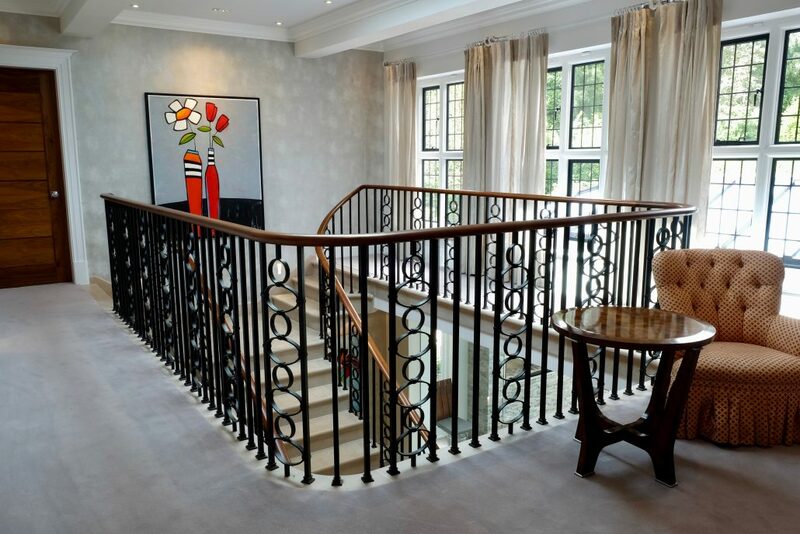 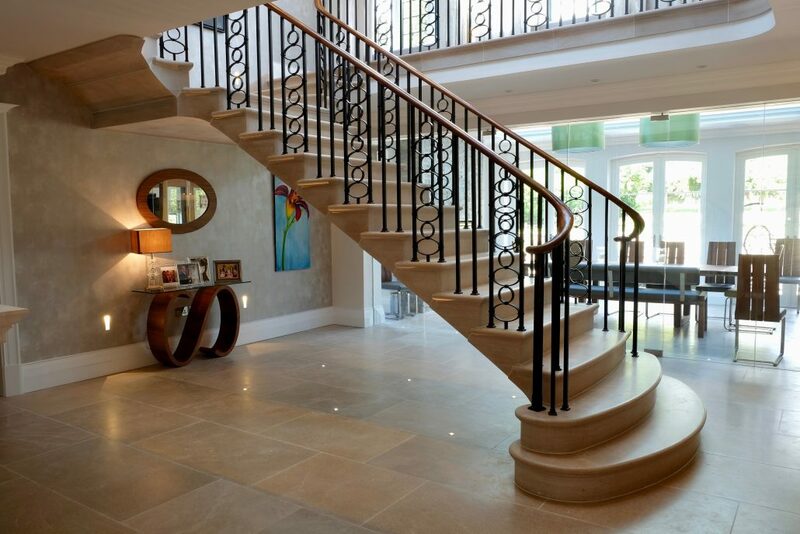 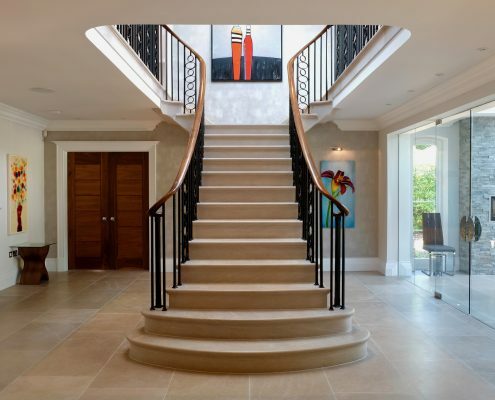 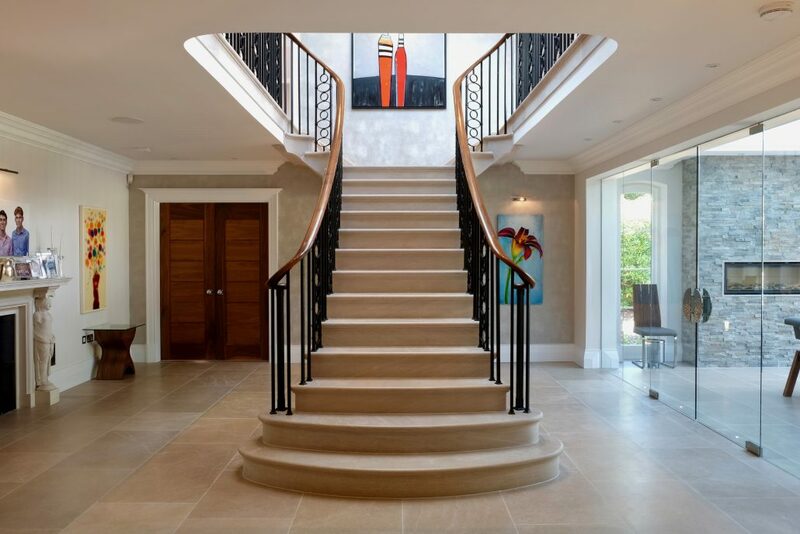 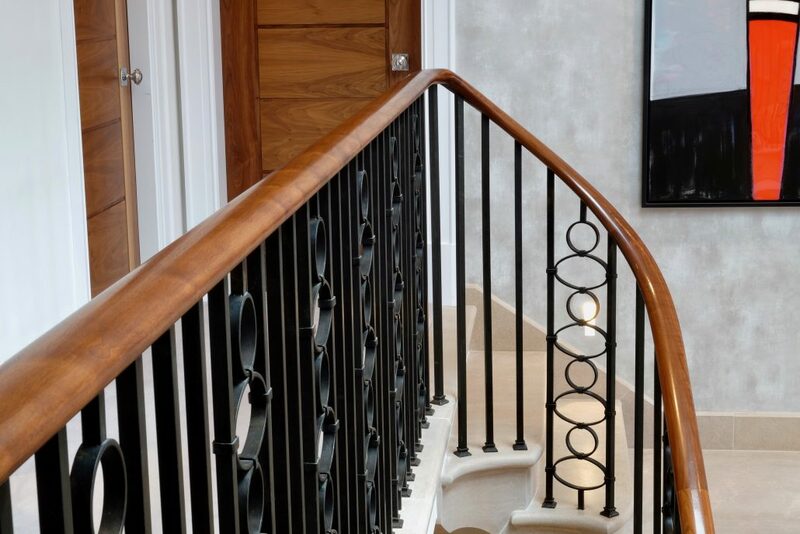 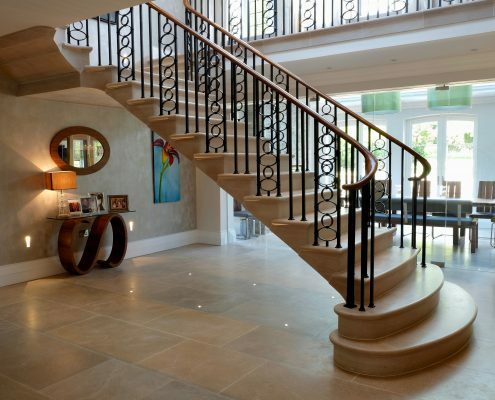 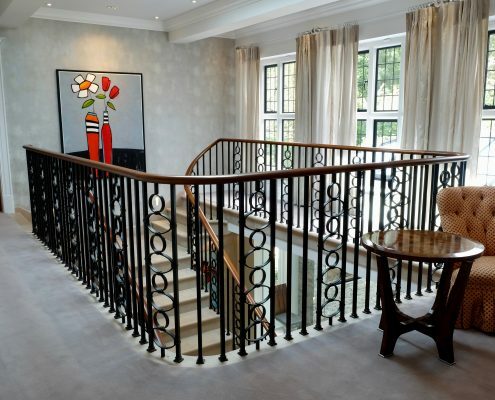 Working with some of the UK’s leading stonemasons and artisan blacksmiths, we helped to create this magnificent centrepiece staircase for a project in Sutton Coldfield near Birmingham. 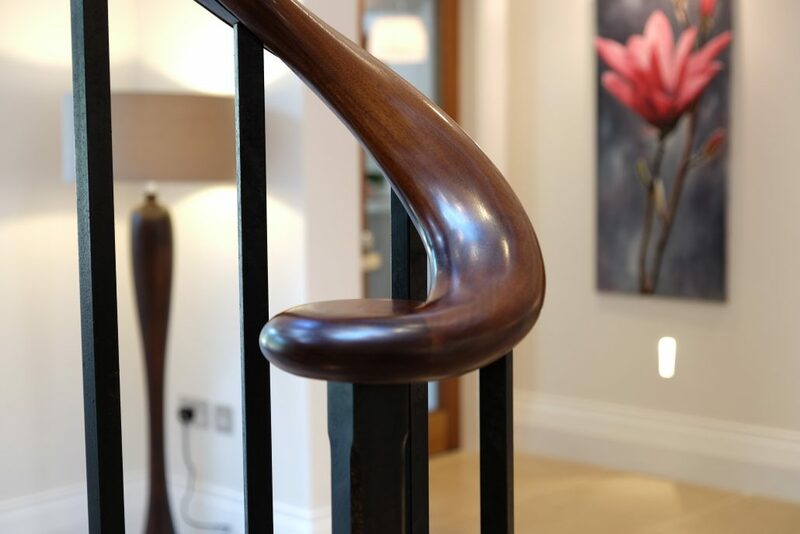 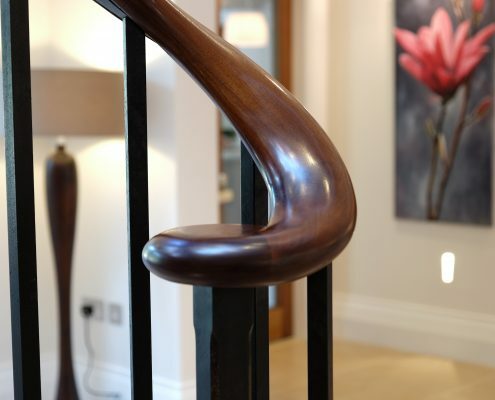 Our black walnut handrails were installed and French polished to match surrounding furniture, leaving the customer delighted. 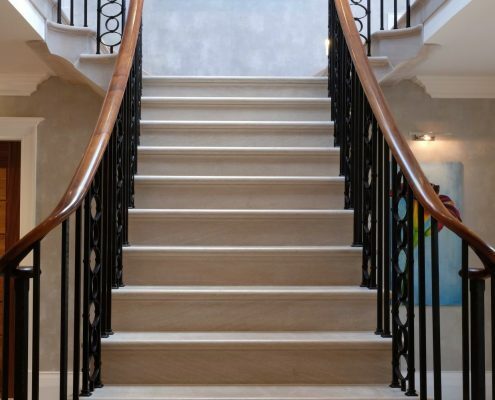 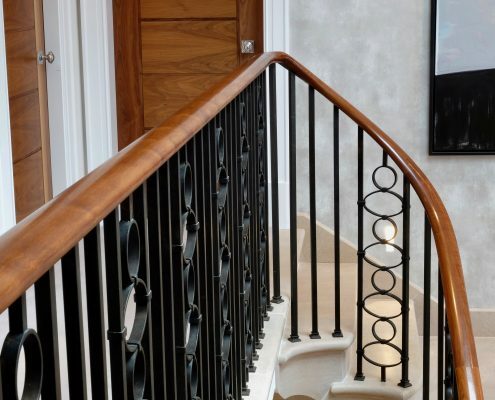 Sweeping staircases like this may look complex, but they are simple for our team of experts.